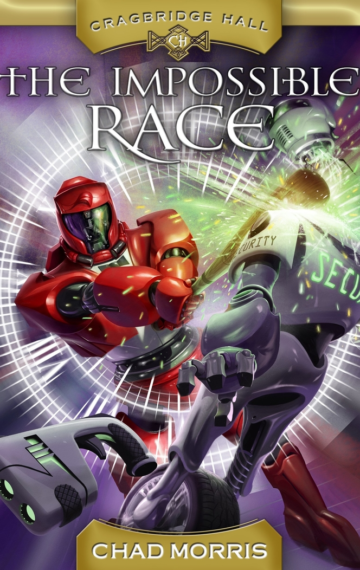 Every year the futuristic school, Cragbridge Hall, holds its most popular tournament–the Race: a series of challenges that range throughout the school and require the use of its amazing inventions like its holographic time machine! But this year is different. Rather than a monetary or academic reward, this year’s winner will be the recipient of a carefully guarded school secret: a secret that could prove both powerful and dangerous. Afraid that the secret may be one of their Grandfather’s inventions, Abby and Derick gather several friends and enroll. But when Derick gets a mysterious message from the future, the team of friends must figure out how to succeed even when they know they are destined to fail. The stakes have never been higher. A page-turning, time-travel adventure that teaches powerful lessons about choice and consequence, believing you can do hard things, and valuing our history.